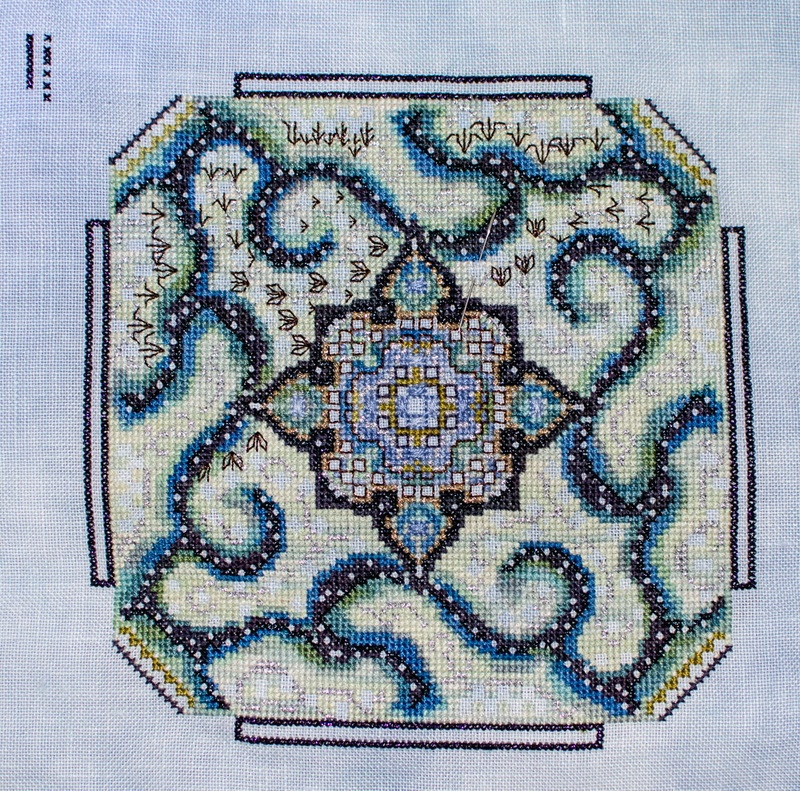 The rectangles around the octagon are done now, which means all the cross stitches for part three are done. Yay! Time to work on a very small part four and get more of the specialty stitches in part two done.